The nachos were served still warm and very crispy. Dipped it in the salsa sauce and I’m all good! 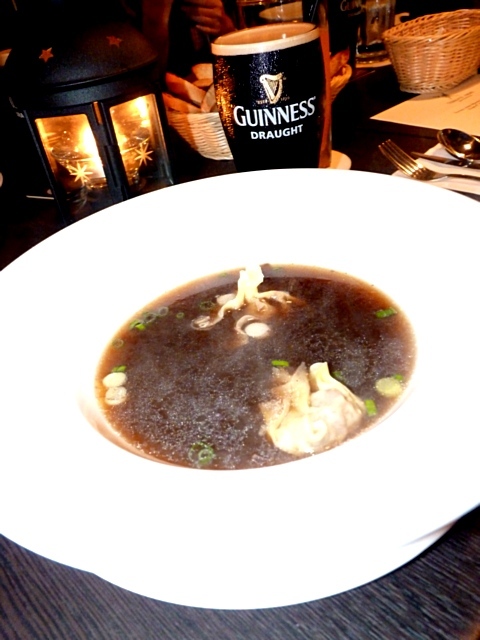 Our appetiser – Guinness Beef Consomme with Oxtail Won Tons. Bursting with Guinness goodness, we know we are heading towards a great night! 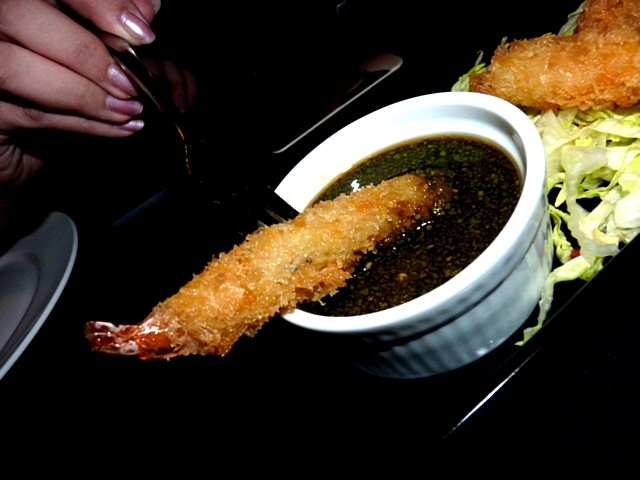 Breaded Prawns with Spicy Guinness Dip. 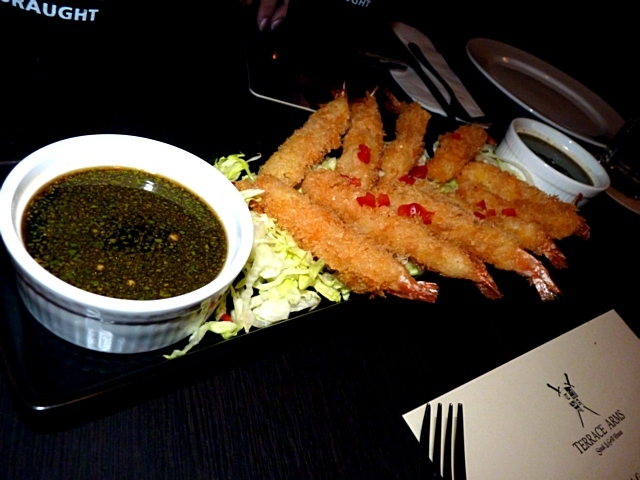 The succulent prawns with tasty coat of bread are yummy to my tummy; crispy on the outside.. yet tender inside. Tried dipping it in the spicy dip and Guinness exploded in my mouth! Pow wow I tell you! 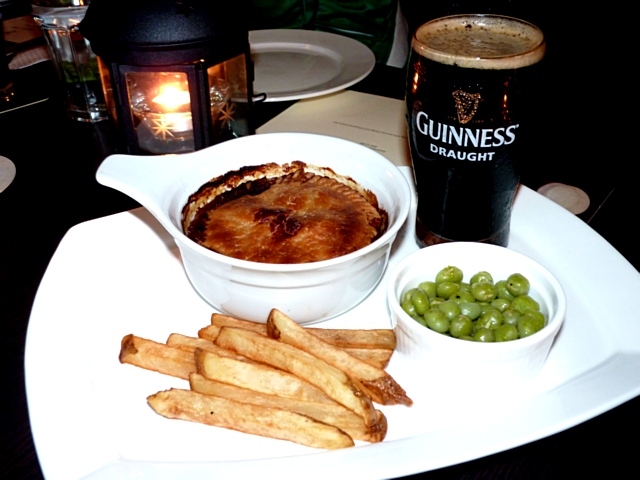 Up next was the Guinness Beef Pie. Woo hoo! Being a pastry lover, this is definitely my FAVOURITE! Delish to the max, I’ll come back for more! Yesh!! 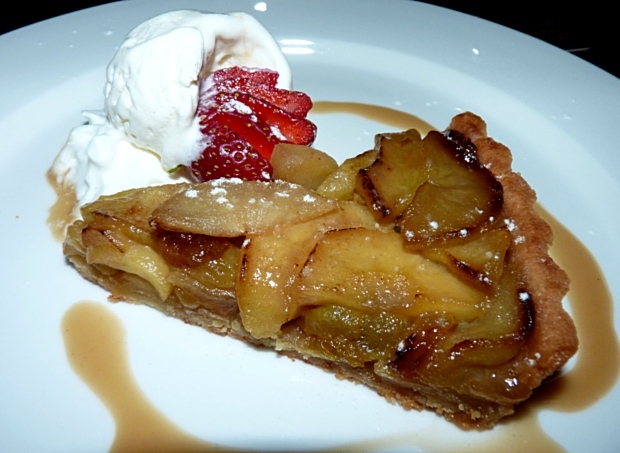 And just as I thought the night was going great, it became better with the arrival of our dessert – Guinness Apple Tart; infused with Guinness draught, this mouth-watering dish is sinfully GOOD! 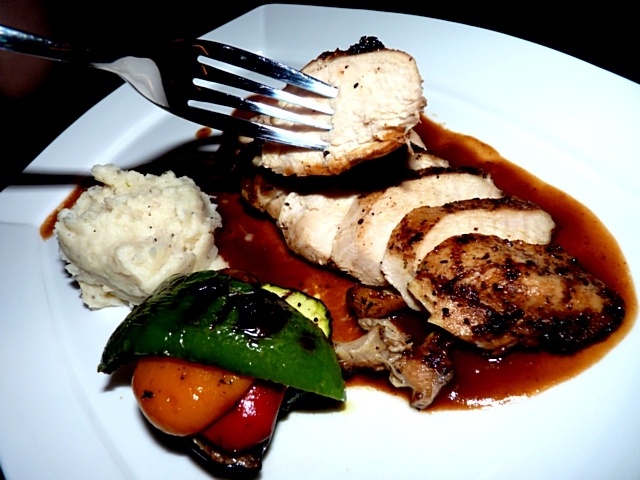 Just looking at them eat is enough to make you salivate! LoL! By the way, did I tell you that we dined with someone special that night? My heart skipped a beat when I was told that he’ll be joining us for dinner! A big St. Patricks Party is coming up on 17th March. 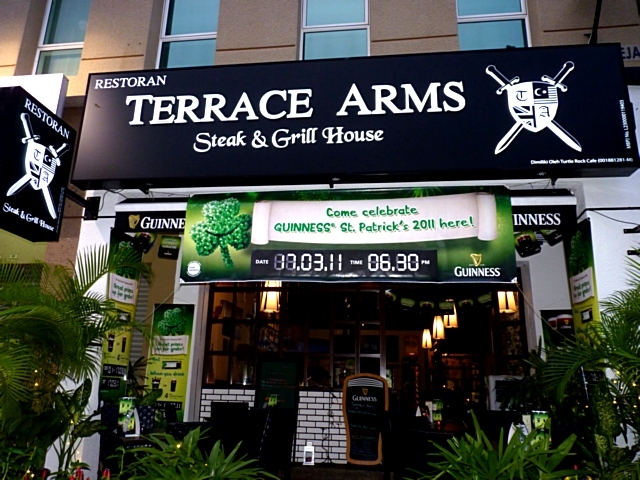 Start drinking your Guinness’s at Terrace Arms from 3rd March to enter Lucky Draw! u tak mabuk ah after dat?? but all the foods looks sooo yummy!! 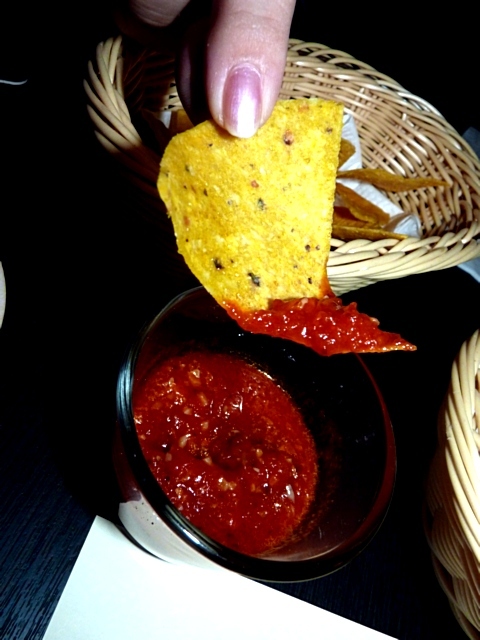 T.T nachos i want!! Alan is the owner of this restaurant kan? 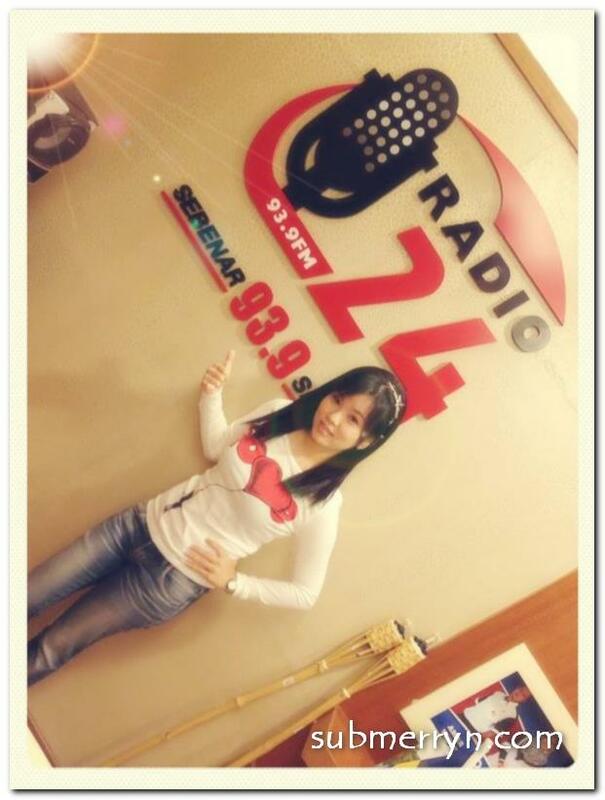 Wah..if i eat like u, sure become.. er… ok, forget it…how come u r still so slim??? by the way, who is the handsome alan yun? famous blogger? Go leng chai some more. no need to drink also mabuk joh. after looking at the lovely food pics, I think I want to try cooking with guiness soon. You're late… Seen so many posts on this already. Hehehehehe! Gosh! 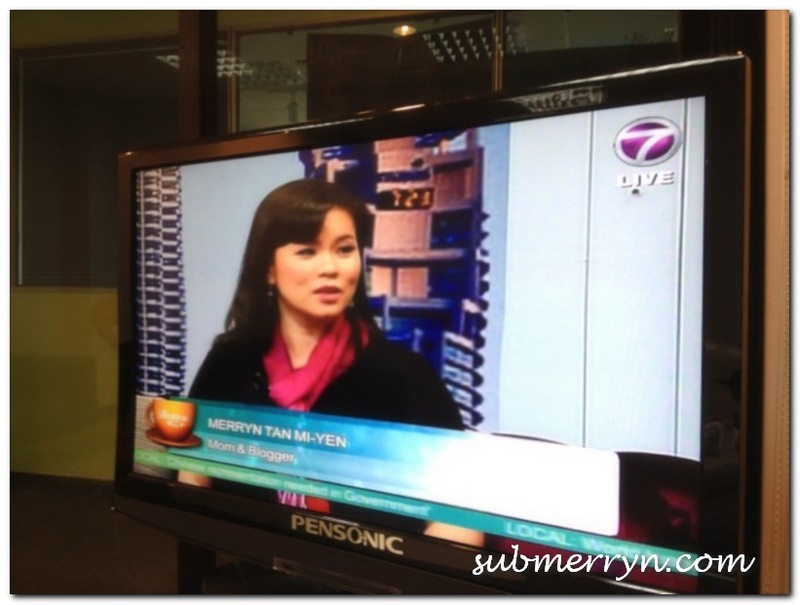 Claire, you do not know Alan Yun kah? 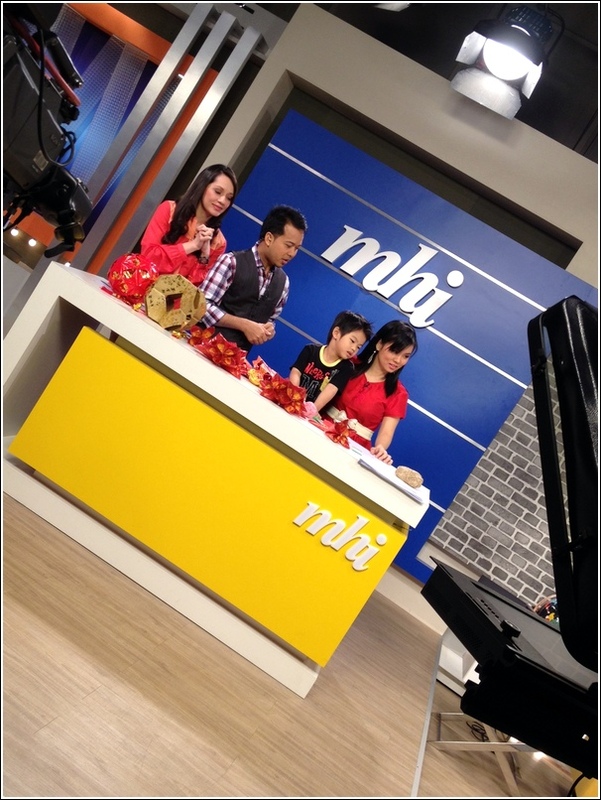 He's in a number of Yasmin Ahmad's movies – Sepet…and what's the name of the sequel? Alan….his name sound familiar to me..I think I saw his name in another blogger's post. Is this restaurant opened by him? Wow!!! Leng Chai accompany for the dinner,no need to drink Drunk already lor!! Food cook and serve with Guiness, so interesting.